Just one bite and you’ll be reaching for this Seafood and Cauliflower Gratin recipe over and over again. 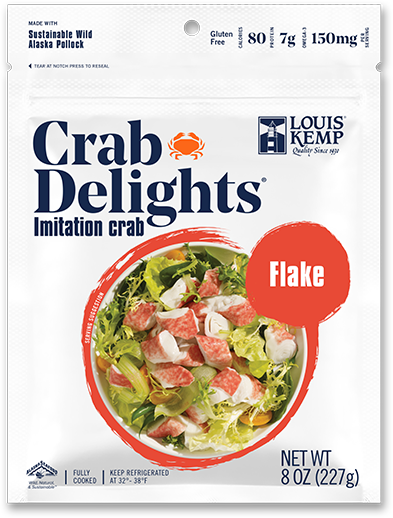 Crab Delights® are mixed with cauliflower, butter, milk, and breadcrumbs for this classic comfort food with a seafood twist. 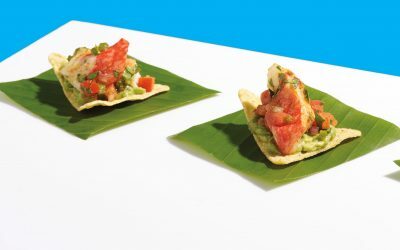 Visit our imitation crab resource guide to learn about nutrition and health benefits, sustainable sourcing, and more! Bring a large pot of water to a boil and add the cauliflower and salt. Cook until cauliflower is tender, about 6-7 minutes. Drain and set aside. Melt the 1/4 cup butter in a medium saucepan over medium heat. Whisk in the flour and simmer 5 minutes. Off the heat, slowly whisk in the milk until mixture is smooth. Return to the heat and bring to a boil. Add the bay leaf and simmer 5 minutes, then season with cayenne, salt and pepper. Remove the bay leaf and stir in the goat cheese until smooth. Melt the remaining 2 tablespoons butter in a medium skillet over medium-high heat. Add the breadcrumbs and heat, stirring frequently until golden, about 3 minutes. Set aside. 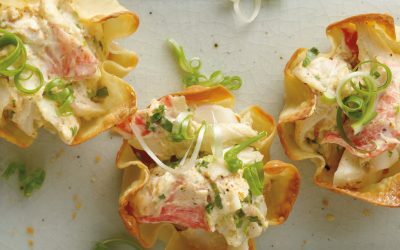 Mix the cauliflower with the Crab Delights® and transfer to a 1-2 quart baking dish. Pour goat cheese sauce over mixture and sprinkle with the breadcrumbs and Parmesan. 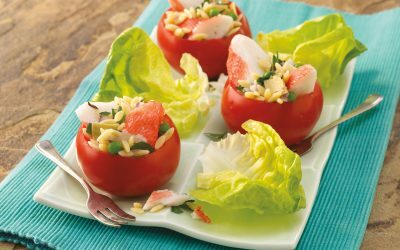 Bake until browned and bubbling, 20-25 minutes. Sprinkle with parsley and serve.